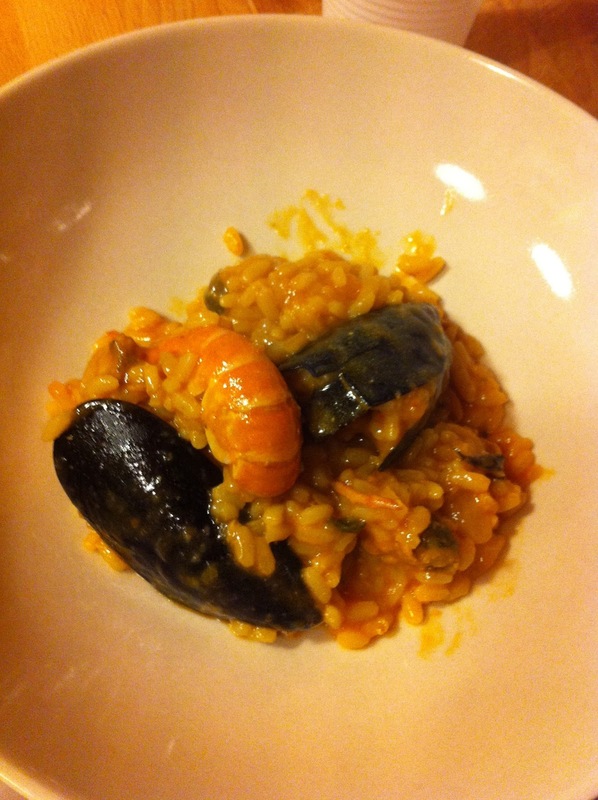 This is one of my favorite dishes, actually i love all kinds of risottos. I went to a fish market in Viareggio, in the Tirrenio coast with a good size cooler full of ice, a bought some great fresh fish, i like to this sometimes to enjoy cooking and eating some great fresh fish. You will start my making a Fumetto, which is like fish broth. Clean the shrimp, put the heads on the side and start boiling some water with a carrot, 1 tomato, 1 zucchini, 1 onion, 1 cellery, add all the heads of the shrimp and the skin, some salt and herbs, (parsley). Take some muscles and cook them in pan with olive oil garlic and parsley, add the white wine and cover. When ready take them out of the pan and place them in a bowl and keep the cooking liquid, thats where all theyr flavor is. Prepare the rice, chop some shallots finely, add olive oil to a deep pan, add the shallots and let it cook then add the rice and a pinch of salt, let the rice toast, add some white wine and let it evaporate, then start adding little by little the fish broth (Fumetto), when the rice its almost ready, add the shirmp the muscles and the cooking liquid from the muscles, and a bit of butter, and spoon of tomato paste, combine all together and when nice and creamy serve and add some fresh parsley. Dont let the rice overcook, and always make sure that its nice and creamy, if it gets too dry add some more broth. ENJOY!! !